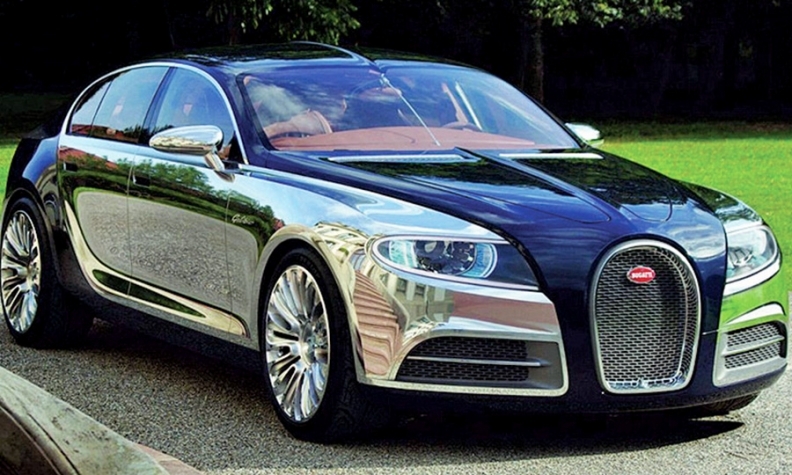 Bugatti unveiled the Galibier four-door concept in 2009 at the Frankfurt auto show. FRANKFURT — Supercar maker Bugatti — the crown jewel in the Volkswagen Group portfolio — is considering building a four-door model set to go on sale around 2024. The currently unnamed car would pick up where the Galibier concept left off; that model was introduced as a concept at the 2009 Frankfurt show but was axed during development of the current two-door Chiron. "The four-door car is not dead," Wolfgang Durheimer, president of Bugatti Automobiles, told Automotive News on the sidelines of the Frankfurt auto show, adding that Volkswagen Group will make a final decision on the car at the end of 2018. Bugatti's only current model — the 1,500-hp Chiron — will have an eight-year lifespan vs. the 12-year run of the earlier Veyron, putting its replacement on a 2024 or 2025 timetable. Rather than adding a second model, which would share too much of the initial model's DNA, Bugatti will stay a one-nameplate marque. "For the time I can foresee, it will be a one-model brand," Durheimer said. Bugatti has yet to decide on a final powertrain for its next car, though it is considering all options: full electric, hybrid or pure internal combustion. "It will again be decided on the performance criteria because this is the ultimate our customers expect from us," Durheimer said. "The ingredients are open." The longer Bugatti can hold off on making the decision the better, since technology — particularly that of batteries and electric powertrains — is accelerating so rapidly, Dur-heimer said. Bugatti also considered electrifying the current Chiron when the car was in its development stages. Ultimately the automaker decided against it due to weight and packaging concerns, and also after it became clear Bugatti could hit its 1,500-hp target​ with pure internal combustion alone, Durheimer said.